Included: Water, Sewer, and Trash. Apartment Description: Great one level apartment in the fantastic area of Belmont. 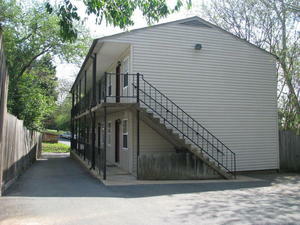 Unit features living room, dining area, kitchen, bedroom and full bath. Off street parking is included. Overall Property: One level apartment in Belmont with living room, dining area, kitchen, bedroom and full bath. Off street parking.